Every month, there is a special event in Atlanta for the design world. It is open to the public, but designers usually flock here for unique finds. I am lucky enough to live close enough to this that I was able to hop out of bed and take a visit this past weekend. While I only got to see a small portion of the show, it was so much fun! I definitely got my designer juices flowing! 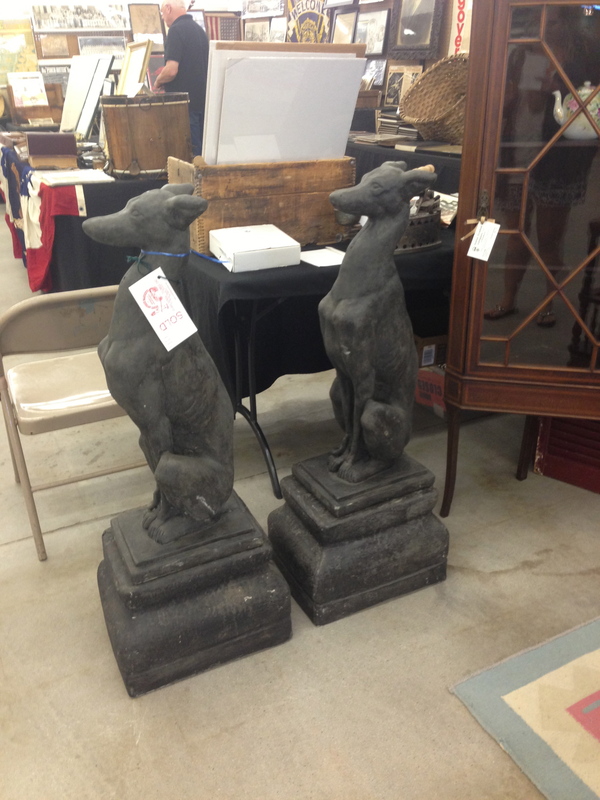 Wouldn’t these be beautiful on a front porch- too bad they were already snagged! 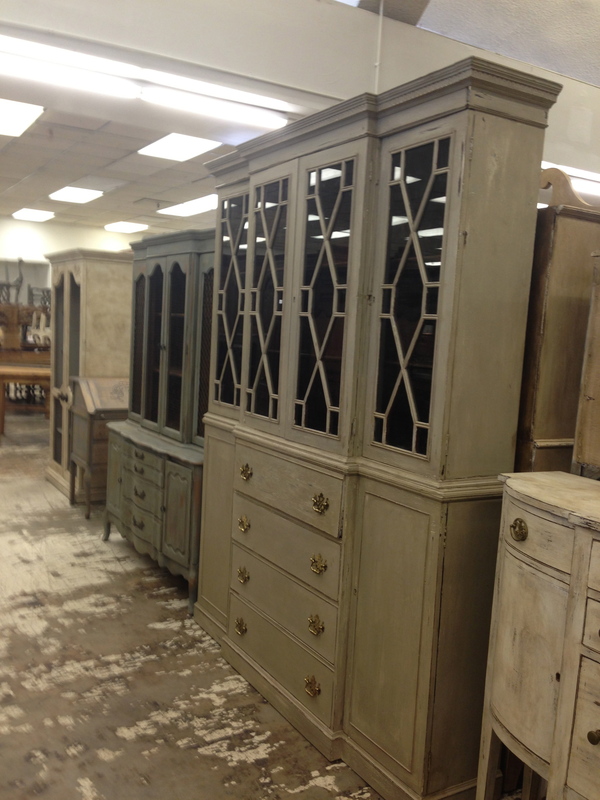 One of the items that I was searching for was a China cabinet. I found a few really pretty ones. Although I found a million that I liked, these are more in the style that I want. 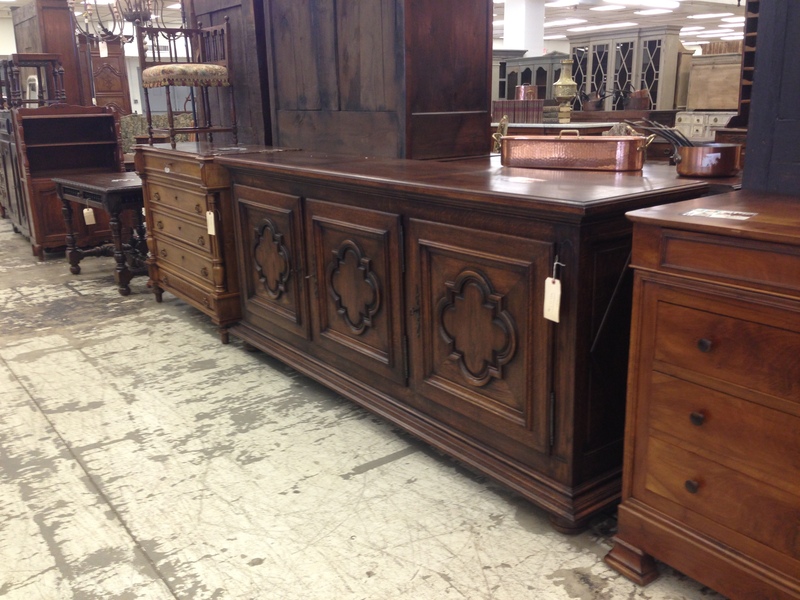 I was also on the lookout for long credenzas/dressers. There were so many to choose from, but here are a couple of them that I really liked. This one is Parisian- it was definitely built to last!!! Here’s this company’s website if you want to see more of their stuff. This one could be really neat with an interesting paint and detailing- maybe gold leafing to bring out the design and metallic gold hardware? I found a few great chests as well. I love the touch of French that I am seeing everywhere. Maybe I’m more traditional than I like to say that I am, haha! I am also on the search for twin beds for Brodie’s “big boy” room. While these are king size, they are custom made. He uses old doors to create headboards and footboards. I love the chunky posts. I also love that we can make it any size that we want it to be and can even customize the trim on the rails. Here’s his website if you want to see more of his work. I LOVE this embroidery on this drapery panel. They had several patterns and 4 panel fabrics and about 100 thread colors. I can envision these in my house now, maybe one day. 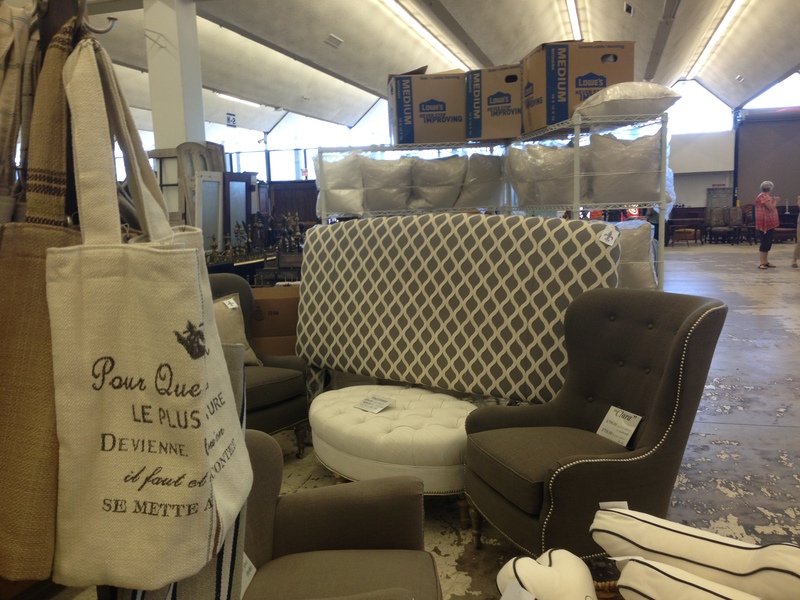 Upholstered headboard with textured, raised fabric for the trellis. It had the look of a needlepoint fabric when you got close. 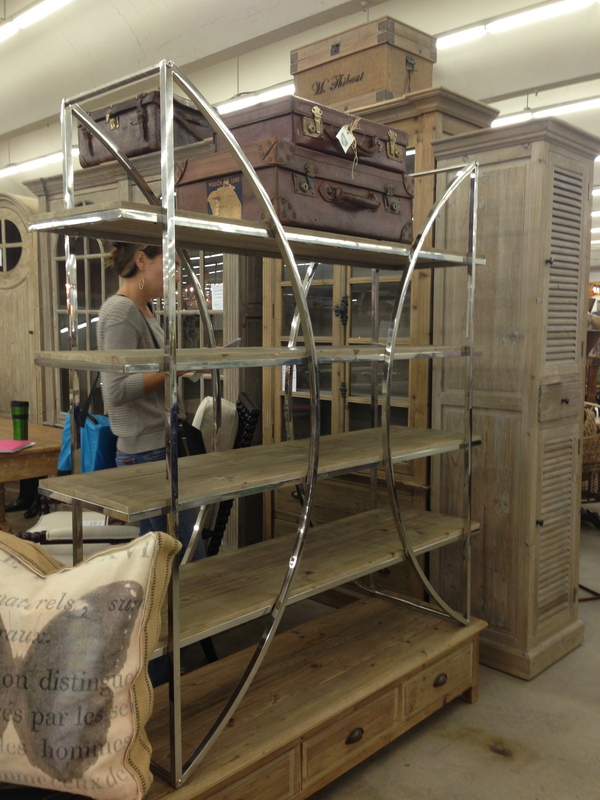 Modern and Industrial Chic Bookcase. I haven’t seen anything like this before. This lady had a great booth with some beautiful pieces, but a little to industrial chic for my home. My quick walk-through was so much fun and I saw a lot of interesting and beautiful things. I can’t wait to go back next month! Here’s Scott’s website if you want to know more about upcoming shows! Trust me, you will need at least a half a day to do both buildings and the outside booths! Thank you guys for your feedback! Come back on Thursday to see the poll results and keep the comments coming!